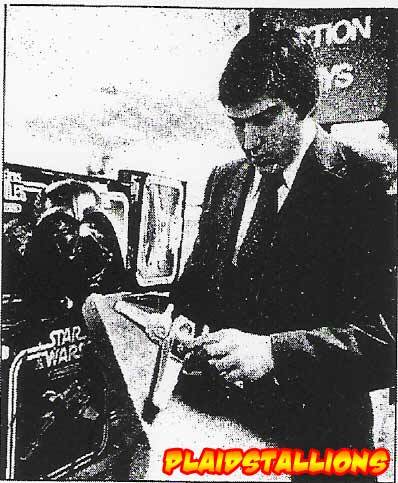 From a 1978 Globe and Mail article, a reporter scowls at Star Wars toys in an article with the biline "Give him Snakes and Ladders any day"
b) I really burned out on Star Wars merchandise in 1998, sold everything I owned but some childhood pieces and never got the urge again. But as much as I like to claim that my only childhood toys were Mego, the truth is I was a ravenous Star Wars geek from '77 until '82. Taking breaks to get into Buck Rogers and Black Hole. Part of it was peer pressure with other kids in my class but the other part was just that those movies really hit all my buttons as a kid. 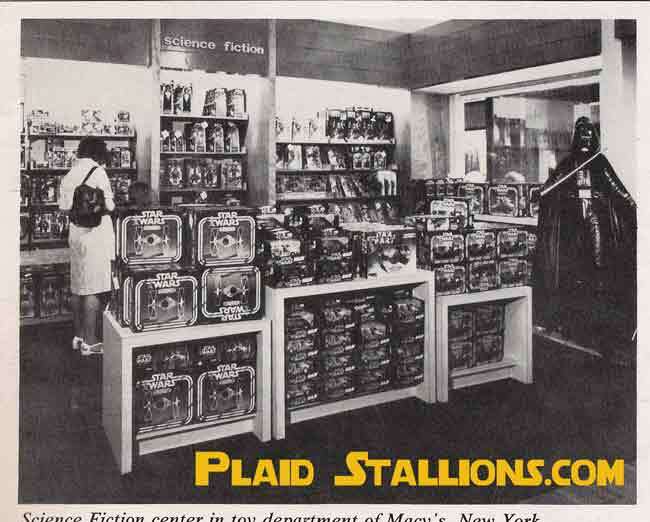 All next week on the blog, we'll take a look at the obscure 1977 Science Fiction film "Star Wars" and it's merchandising. 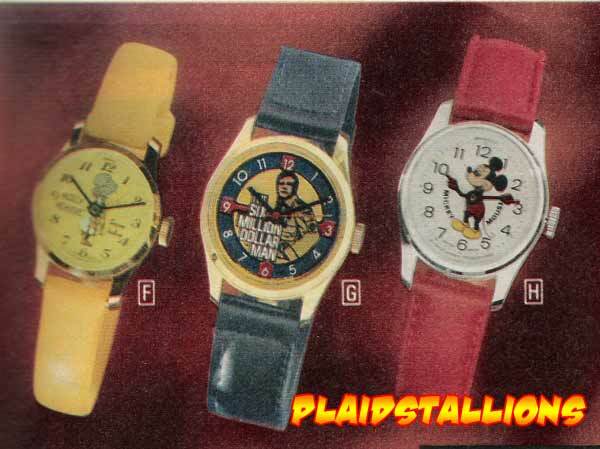 I never noticed them as a kid but there were tons of cool character watches in the 70's, while Mickey is a standard and I'm sure Holly Hobby is popular with many, that Six Million Dollar Man watch is the Sh!t. When I see stuff like this, I expect to see Kikaider and a bunch of henchmen leap out of the background and start fighting. 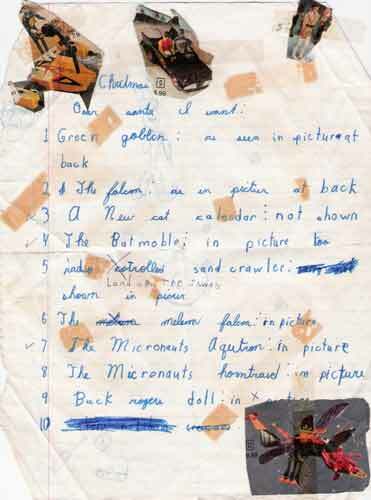 I posted this on the Megomuseum last year but I really like sharing it, my grandmother gave me my old wishlist from 1979, clipped from the Sears Canada catalog of the same year.Funny how I went from making wishlists to wantlists with much of the same stuff in it. 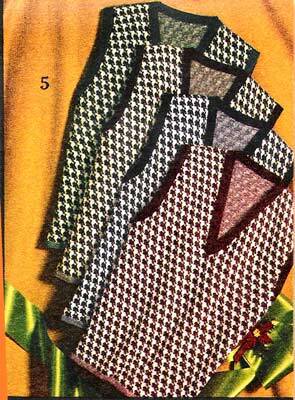 Opening a sweater when you're eight is an odd experience, you couldn't care less about it but you know you have to be polite and thank your aunt for it. I still hate sweaters to this day but I now like it when I get socks for Christmas. 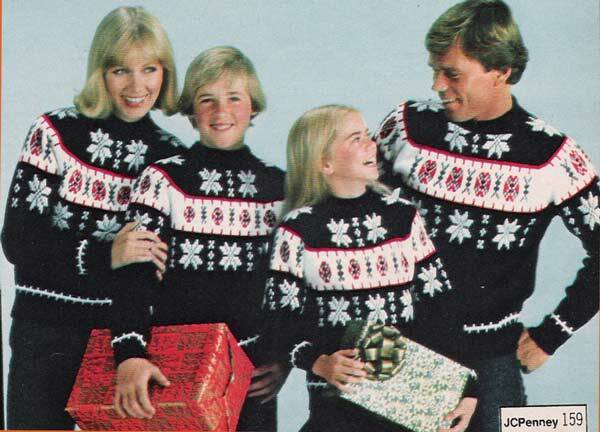 Well meaning grandmothers everywhere probably thought the entire family would love matching itchy sweaters, I mean the family in the catalog looks so happy! I hope one of these is under my tree this year, that would be fantastic! Energized Spiderman and his helicopter sure had a big marketing budget, that commercial ran during Battle of the Planets for months on end. 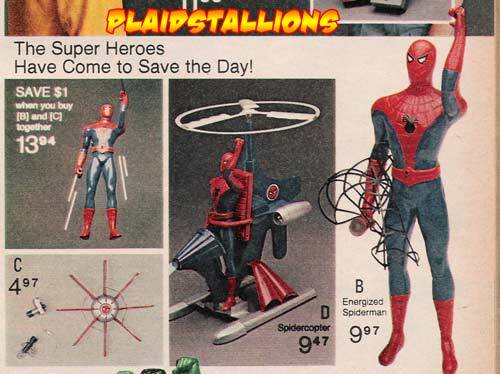 It's weird, Spider-man didn't have a helicopter, nor did he need it but I really wanted one! 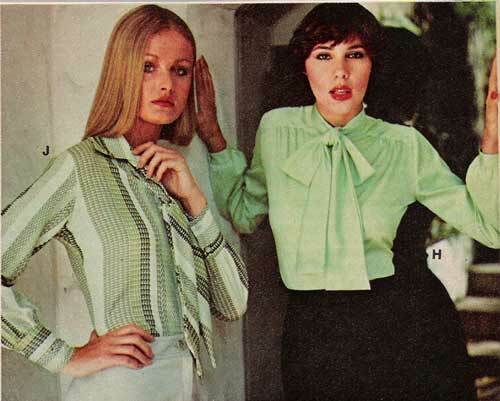 Wonder Woman, the Bionic Woman and Donnie & Marie represent every show my sister watched back then. Jamie gets kind of the shaft when it comes to play sets though, a classroom? 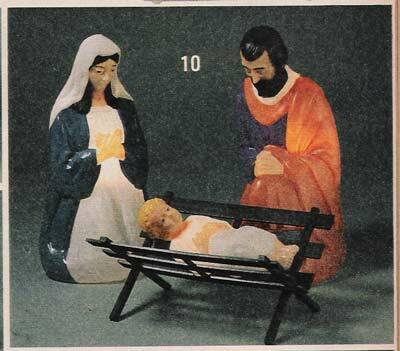 If you're going to give a religious message this holiday season, a blow molded light up plastic messiah is probably not the best way to go. I've always wanted to put a life size Liberace on front lawn for the month of December, leaving my neighbors wondering what it's about and never directly answering their question. 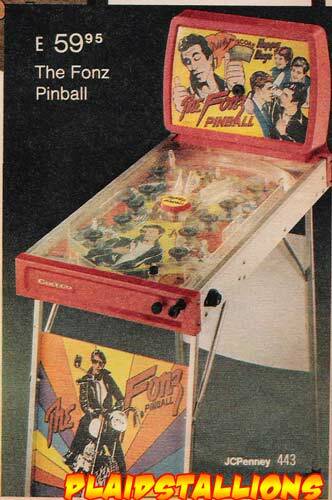 Fonz Pinball looks like one of those gifts that Dad would buy for the family but secretly he just wanted a pinball machine. I still have the one my dad drug home. 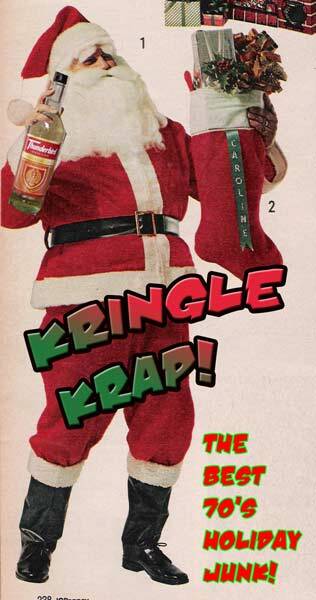 This vintage giftwrap represents the dilemma of doing a piece on Christmas items. Christmas has always had one foot in tacky to begin with so even though this giftwrap comes from the era of butterfly collars and jumpsuits, i could swear that I unwrapped it last year. Fruitcake is just slightly better than the sausage platter IMO, which I received from my grandparents when I was in college. 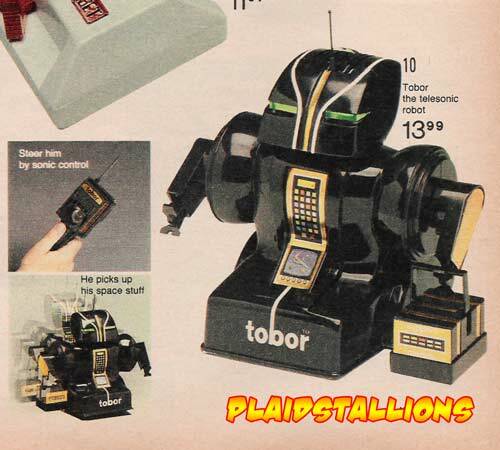 It was like getting a card that said "Dear Brian, we know nothing about you, enjoy"
"Tobor is Robot spelled backwards" was the tagline in the commercials. The minute they started running this commercial, Tobor was forever ingrained into my psyche. 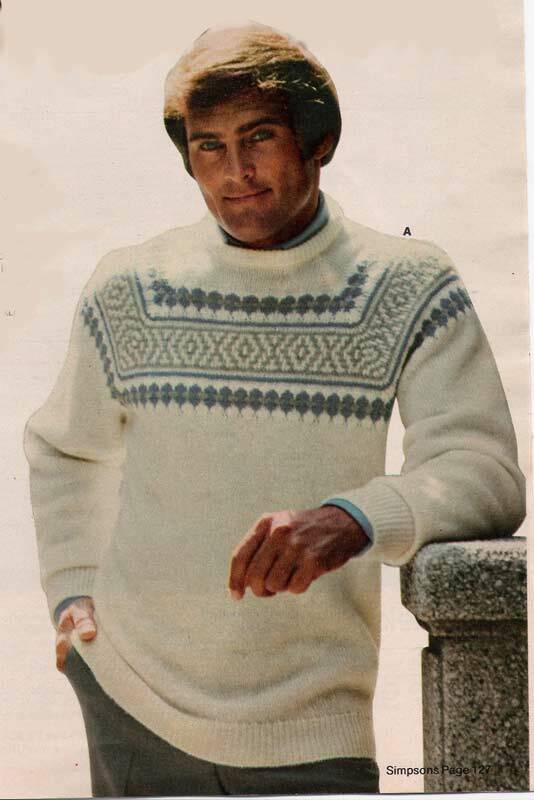 I'm sure he made it on to my wishlist but my parents seemed to avoid stuff like this focusing on Star Wars and Micronauts. It's hard to be bitter. 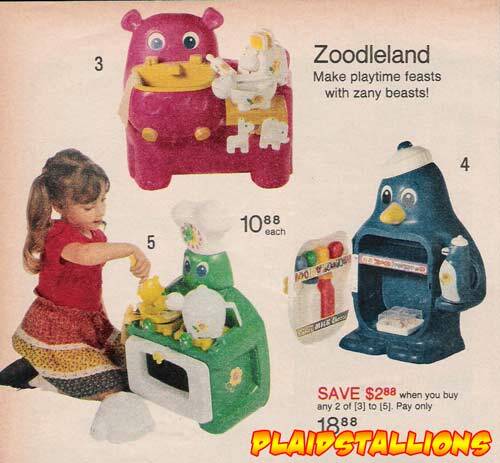 Who the hell didn't want a Hoppity? 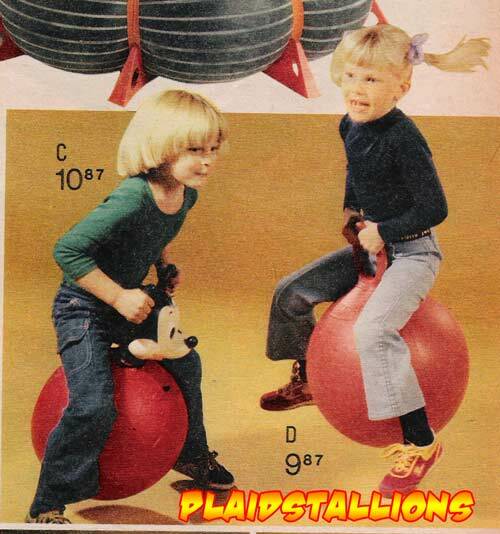 I still want one! 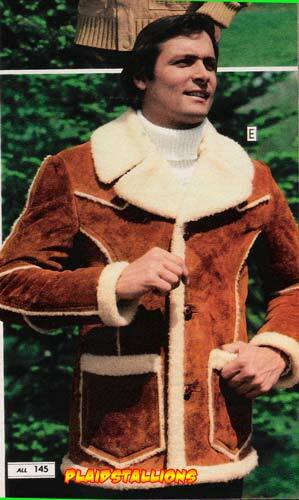 I'd like the Husky Gentleman version please, I'm big boned. I used to be an office manager, I swore if I'd provided these to my employees, production would triple. They all laughed at me! 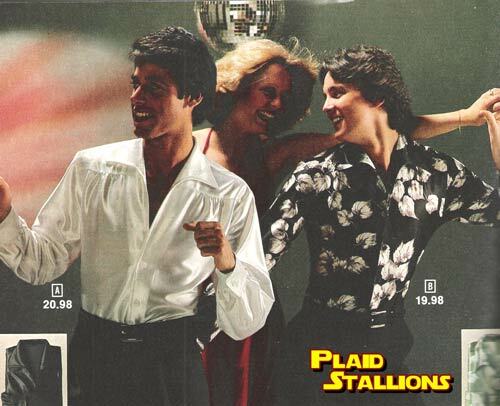 Just in time for the holidays, Plaidstallions will present a tribute to all those itchy sweaters, fruit cakes and light up plastic messiahs of days gone by. 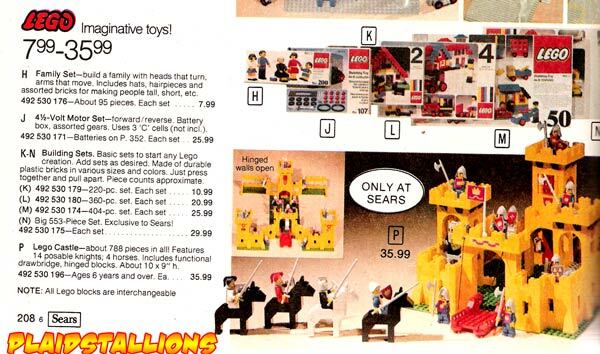 As an added bonus, we'll do a toy of the day, made up mostly of stuff I never got for Christmas! 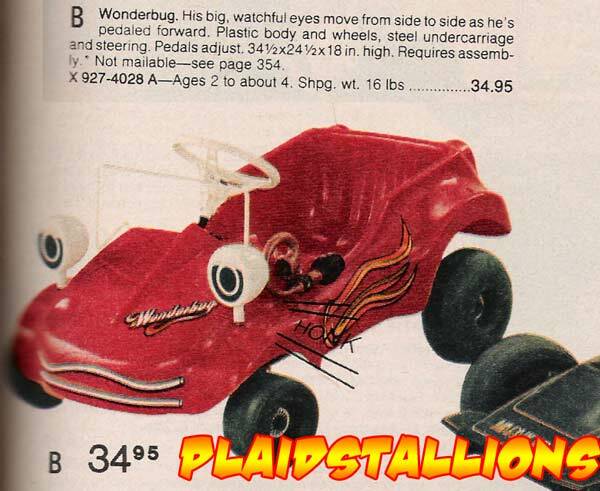 Holy Mother Jumpin' Crud, they made a Wonderbug Peddle car! I am beyond infatuated with this piece, too bad they didn't make a schlep car to go with it. Return of the Son of ManMates! More Killer Fisher Price Adventure People Stuff, I never had these and I honestly remember pretending to like a weeny kid who did just so i could play with them. Pretty primitive compared to the Harry Potter Horwart's castle my nephew has but easily as charming, early lego castles are kind of expensive nowadays. 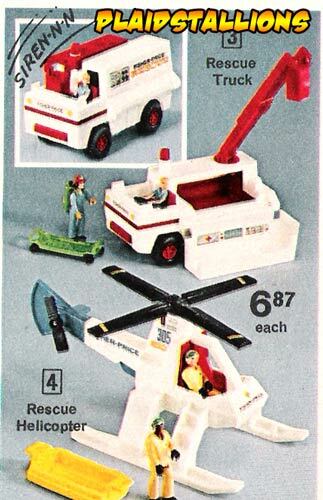 Another "Christmas wishlist" toy that I never got, not that I noticed at the time. 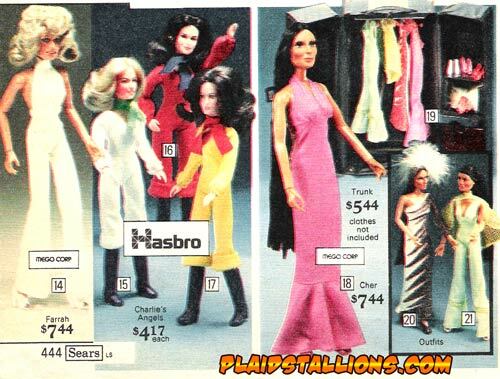 Mego gunned hard for the girls aisle and put a real dent in Barbie's sales with their celebrity based fashion dolls. 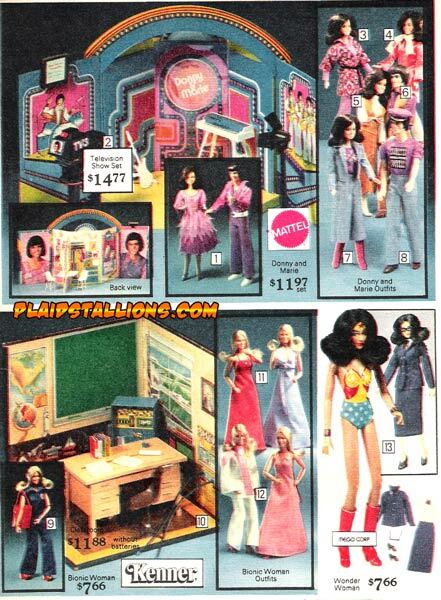 Cher was a huge hit and Farrah was also a best seller (Hasbro was no doubt ticked because of competition with their Charlies Angels line). While Mego had a lot of success with these two, other celebrity licenses such as Captain & Tenneil and Suzzane Somers, were flops. How can this guy miss? 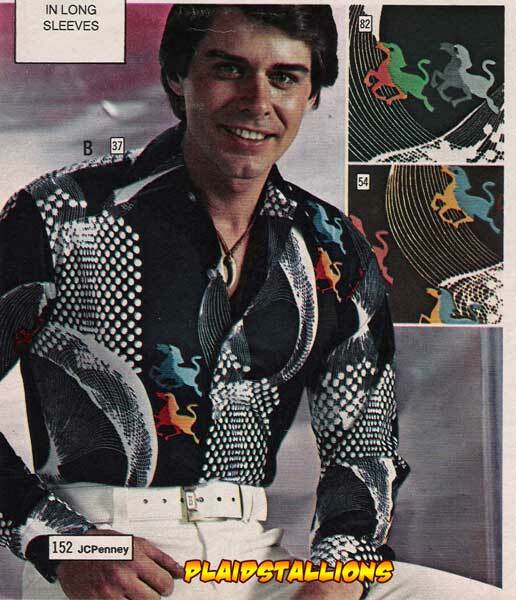 I think that shirt locks anyone within reach into deep hynoptic state, look away I tell you! 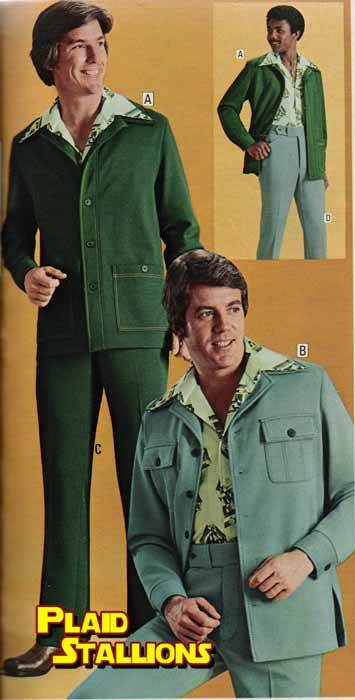 Lest you fall under this guys spell of polyester! 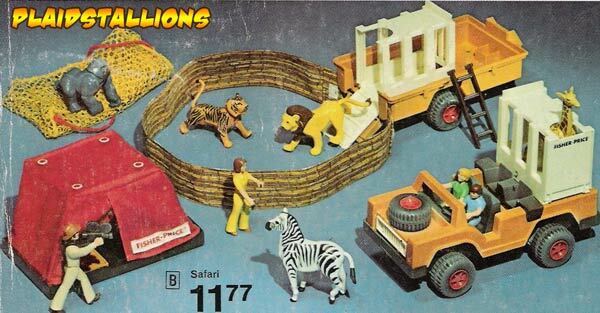 Fisher Price Adventure People Safari! 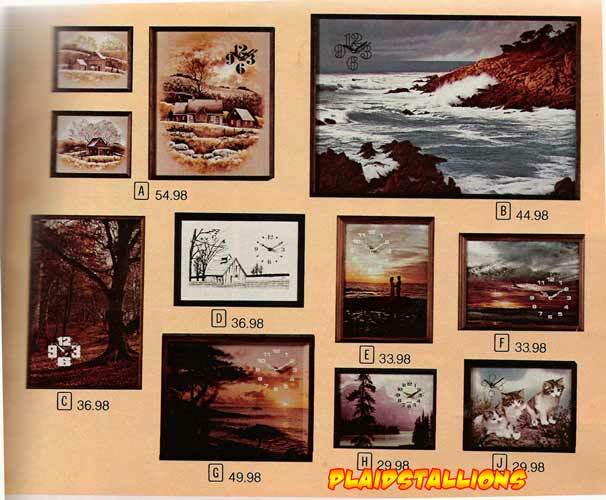 I loved this set so much as a kid that it makes me a little emotional. Such durable toys that 75% of this stuff is still intact including my beloved Gorilla. What bargain at under $12. 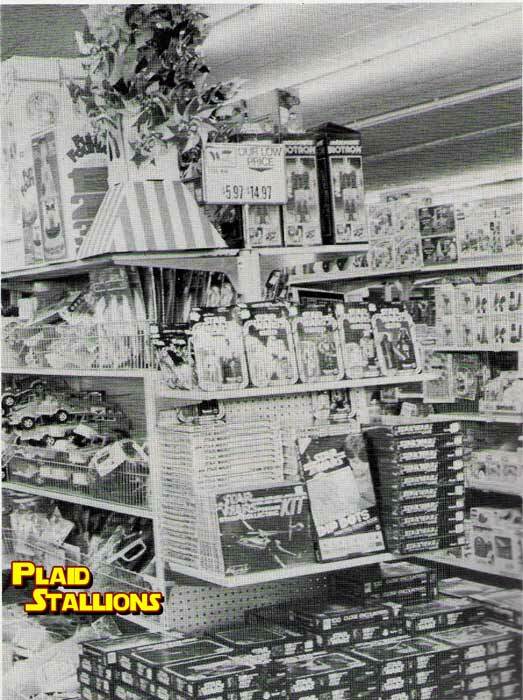 The Space:1999 merchandising explosion was a one year affair but some really cool toys made it out during that period. 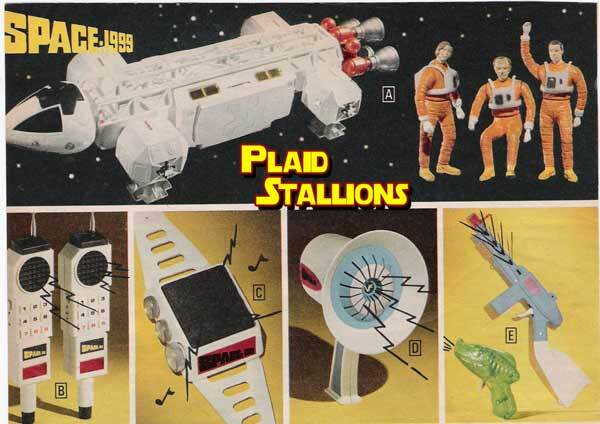 The pinnacle (for me, besides the Mego figures) is the Mattel Eagle Playset with figures, this was two years before Star Wars, nobody had ever done a space ship with 3 3/4" figures before. I've owned this piece several times in my life, it's HUGE and doesn't really fit in with my collection, I always end up selling it and losing money. I saw one last month at a toyshow and came close to a "re buy" until i had a premonition of what my wife would say. 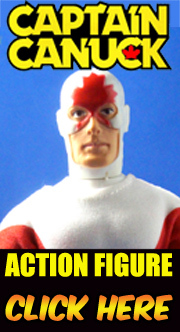 Common sense sometimes doesn't apply in toy collecting. 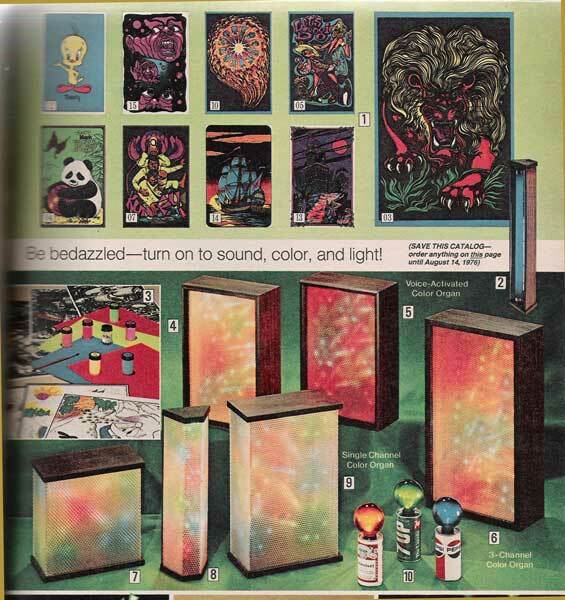 This page reminds me of how much I've always wanted a color organ, not because it would go great next to my hookah or anything, like many small animals, pretty colors fascinate me. These things will forever remind me of older brothers. This brings back memories as to how much channel flipping I did back in the day and why I never saw certain shows. 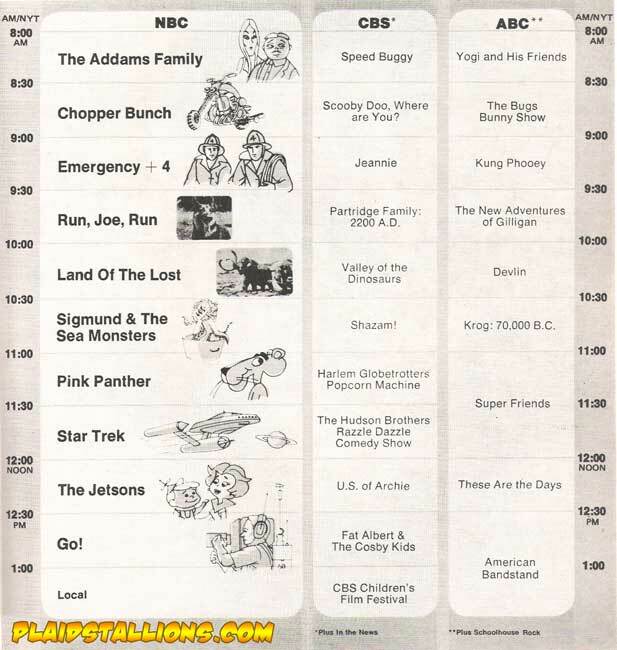 We'd start the day with "Speed Buggy", then segway into "Scooby Doo", flipping over to "Hong Kong Phooey" for 9 then my sister would overpower me and watch "Run, Joe, Run" at 9:30 because it had a dog in it. I hated "Run, Joe, Run" with a passion but she was bigger than me. 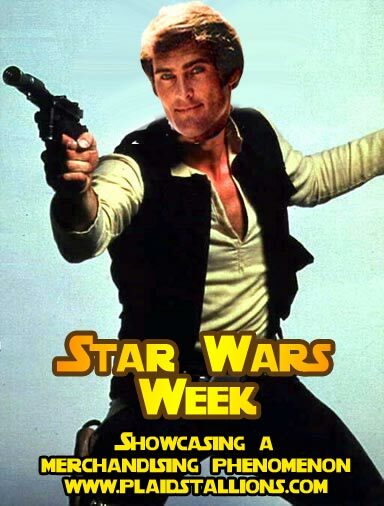 That would run into "Land of the Lost" and then we'd hop to "Shazam". If we'd already seen "The Superfriends" we'd watch Harlem Globetrotters and Hudson Brothers. I used to actually like "These are the days" but I havem't seen it in years, we rarely got to see "Fat Albert" because by that time ,our parents would boot us out of the house. I tried explaining Saturday Morning to my four year old, he didn't seem to grasp the concept that only having one day of cartoons (and Sunday reruns) was somehow better than his current "on Demand" channel of Cartoons and DVDs. 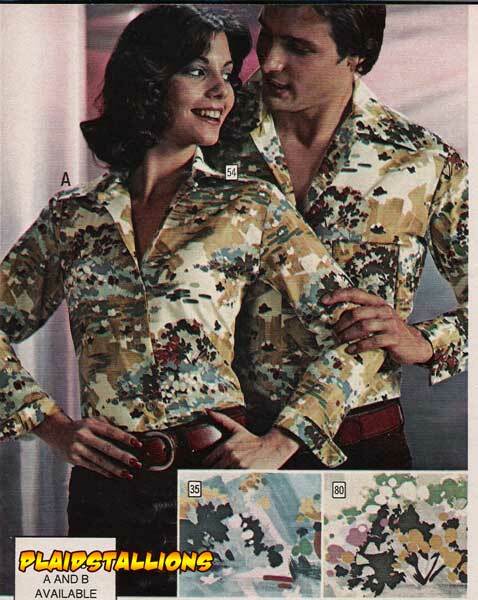 Dammit, they were special! 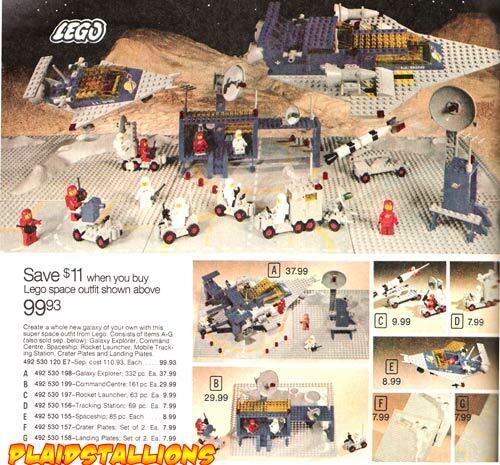 I never had any Space Lego as a kid, it was the one that got away but I'd hang out with the nerdiest kid on the block for hours just to look at his collection. What wasn't to love? the ships with the little cars inside, the happy little spacemen, agh what bliss. 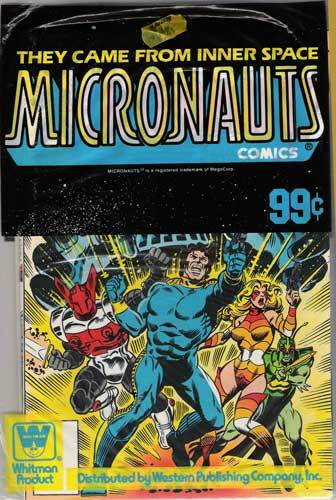 I ventured to the stinky flea market today with both kids (our coats are now outside) and scored this awesome Micronauts three pack of Whitman comics. I used to love these poly bags of reprints but this one is especially cool thanks to the screen printing and the BI-Way price tag on it. 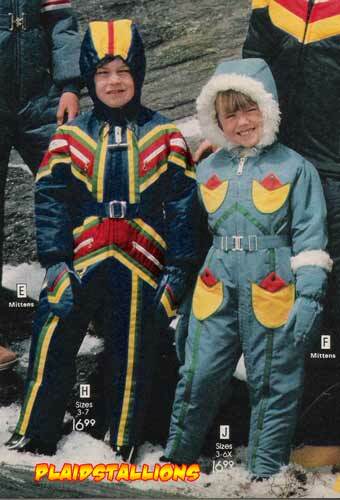 Bi-Way was a Canadian chain of "Bargain" stores that had some pretty killer toys in the 70's, they died around 1999. I really love the woman on the right, through out the entire Simpsons 76 catalog, she's making weird faces like this, she's a catalog model with a super model complex.